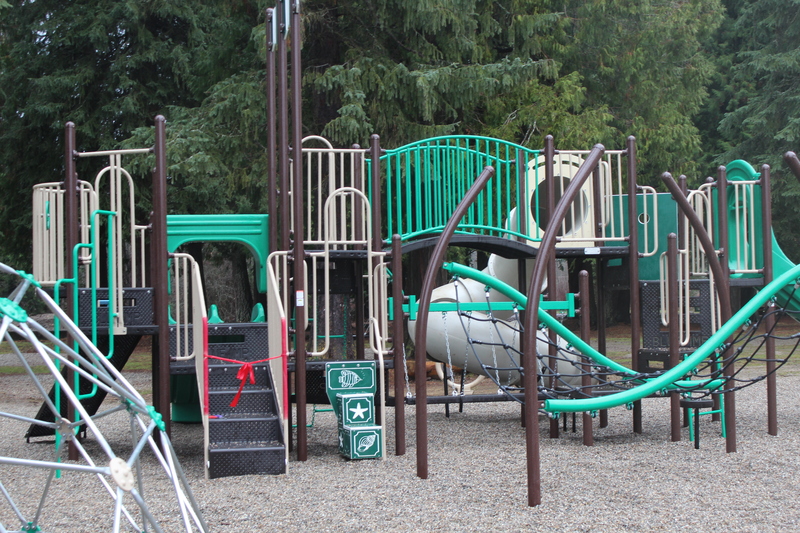 The Village of Salmo owns almost 50 acres of parks and open space. We have received and incorporated public input on the use and protection of these assets through the Sustainable Salmo Official Community Plan consultation. GIS surveying of the park. We thank all of the volunteers who helped with the installation of the playground and the digging of the trenches for the Village crew to install the waterlines. 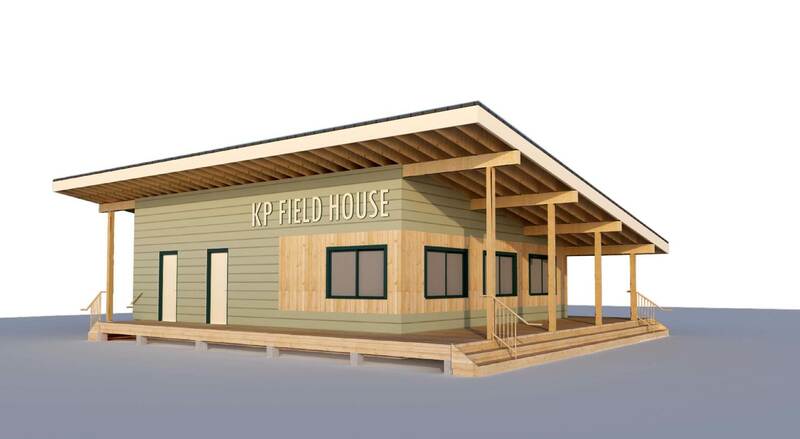 The Village of Salmo is hoping to construct a new concession stand and field house for our main community park, KP park to replace the old concession building that is no longer operational. 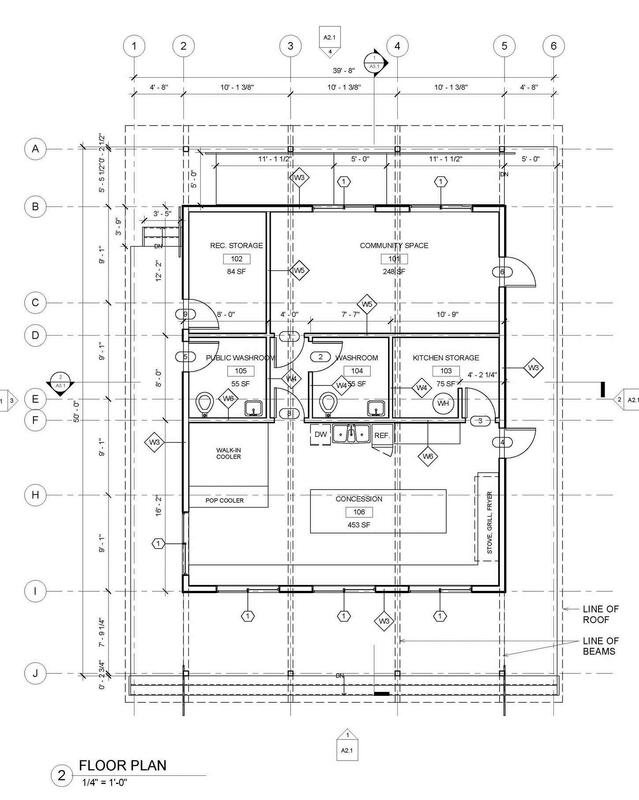 The proposed concession stand was designed by Cover Architecture of Nelson, BC and includes a 1,000 square feet winterized building complete with full commercial kitchen, kitchen storage, walk-in cooler, staff washroom, public washroom, recreational storage and a community space of about 250 square feet. Thank-you to all of our generous donors! This page will remain updated with a thermometer showing progress to our goal of raising $304,560. Please feel free to donate today!